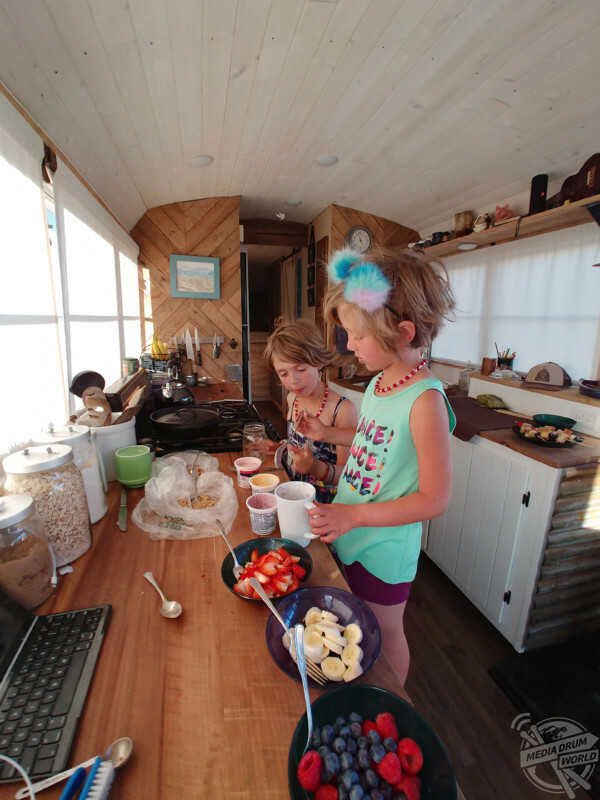 MEET the family of four who decided to live life at a slower pace as they travel the country in a converted school bus home. 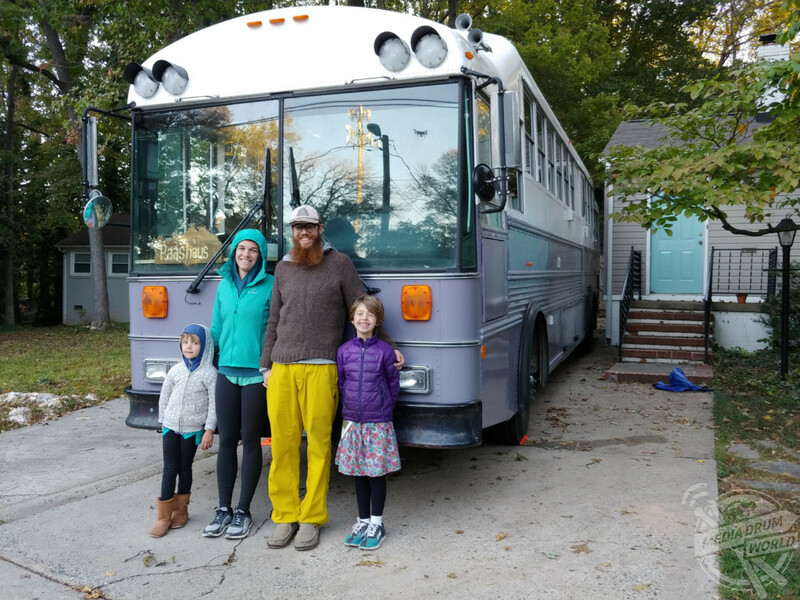 Freelance sandal maker Adam Paashaus (37) and his wife Elizabeth (35), from Greensboro, North Carolina, USA, bought a 1994 Thomas Saf-T-Liner school bus for $6k and then spent two and a half years and $21k converting it into a cosy mobile home. 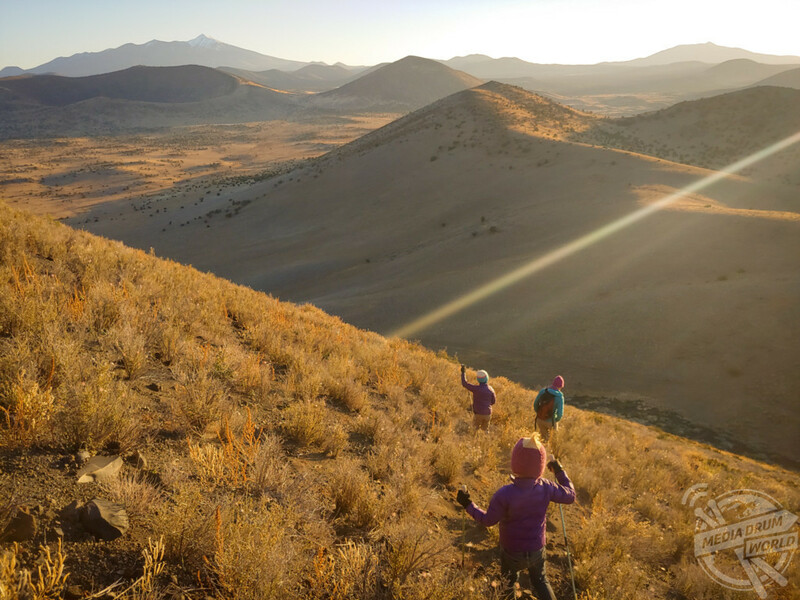 They originally planned to remain most stationary but started dreaming of the full potential of a rolling home so hit the road with their children Sadie (8) and Wren (6). The couple explained what life is like on the road and why they prefer this lifestyle to the normal nine-to-five. “Over the years Elizabeth and I have discussed all kinds of alternative housing options like yurts, cob houses, and container homes as possibilities,” said Adam. 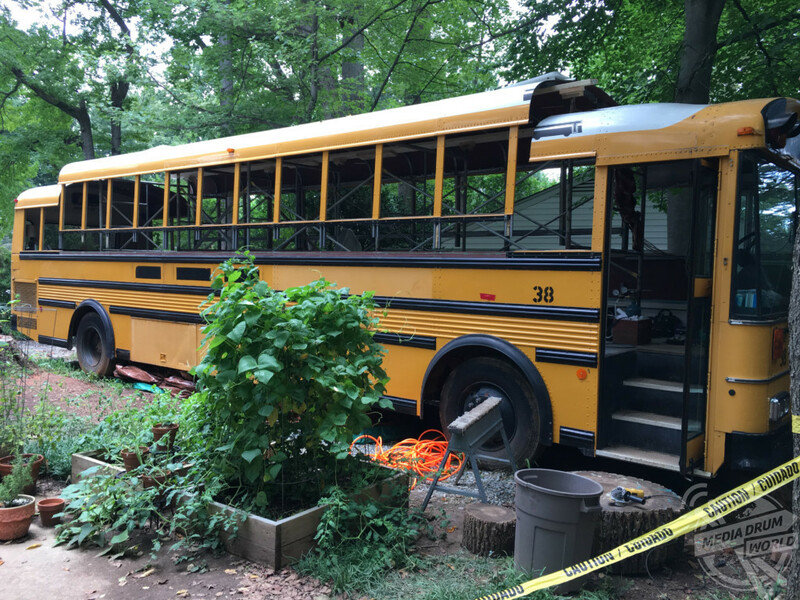 “Elizabeth has always wanted to retire and travel in a school bus so when the two ideas collided, we knew what we had to do. “Travelling as a family means everything takes a bit longer, just like doing anything with kids. Our laundry takes at least twice as long to fold and put away as a couple travelling without kids. Grocery shopping has to be done more often because we have more people. We have to empty out composting toilet twice as frequently. 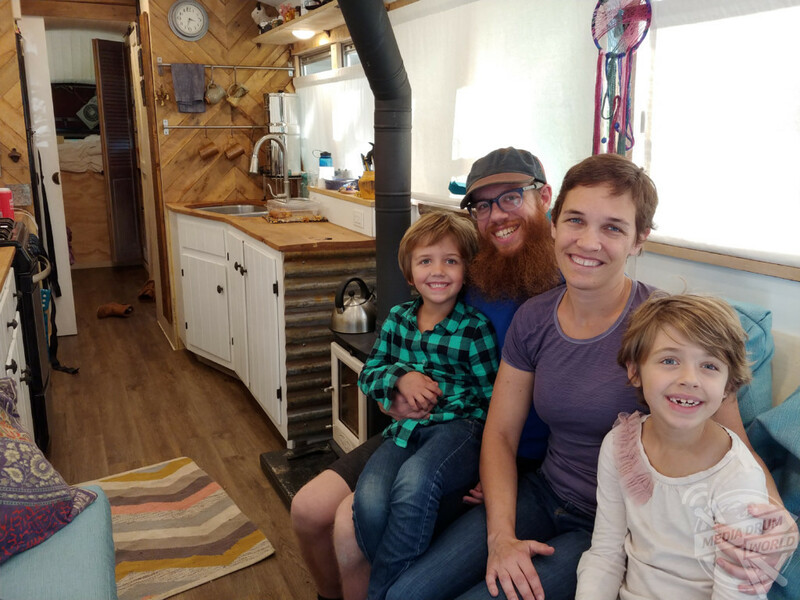 The adventurous family has so far clocked up around 5,000 miles in their bus travelling through North Carolina, Georgia, Tennessee, Oklahoma, Arizona, Texas, Arkansas, Utah and California. They plan to spend the winter in the southwest then head further north in the summer but they have no concrete long-term plans. “We have no end date planned and no expectations,” added Adam. “We have discussed it and will travel as long as it still works for all of us. If a time comes when the kids are really wanting to settle down and have consistent friends in one place or we aren’t able to make enough money with our remote work or we just decide we want a piece of property to live on and grow a garden then we will stop travelling. Adam and Elizabeth pick up part-time, contract and freelance work to fund their lifestyle while they saved money during the two and a half year bus refurbishment. They currently homeschool their daughters and explained how that works while they also had a message for anyone who wished to follow their example. “We focus on educating them rather than doing school,” said Adam. “The distinction being that they are naturally curious and I allow them to pursue their interest while I guide them. So right now we are doing a lot of cooking together and they work on math when they calculate how much we are spending on the ingredients at the store, have to double or half a recipe, keep an eye on the time when food cooking. Both girls love reading and drawing so books, journaling, and sketching is also something we incorporate into their education. “We would advise anyone interested to try and find a way to not rush into it. 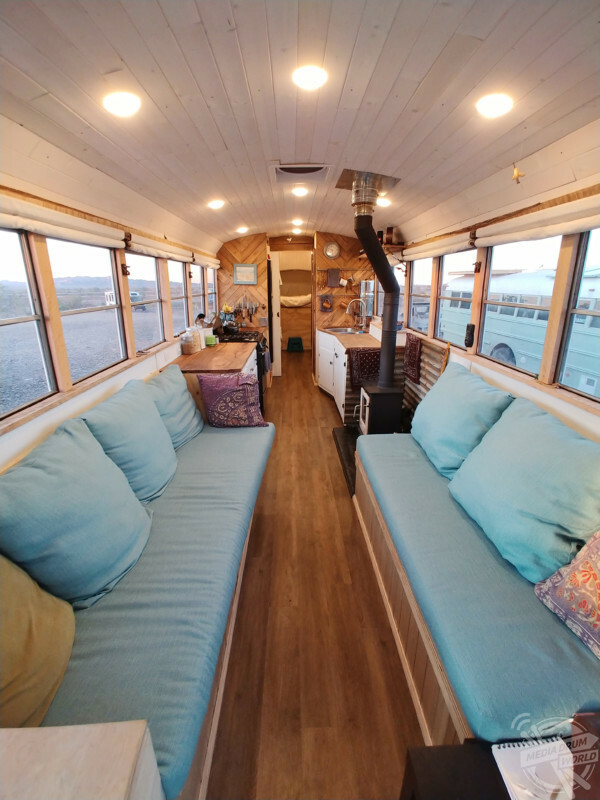 Being able to take the time we needed to do the conversion allowed us to continue with other aspects of our lives while converting the bus. “We were able to take the time to research and learn more about all the components of the conversion. We were able to pay off all debt and hit the road with no mortgage, credit card payments, car payments, etc.